If you are looking for a long-term solution to missing teeth, dental implants are a worthy consideration. They closely mimic the look, feel and function of a natural tooth, and keep the jawbone adequately stimulated to prevent serious complications. Nevertheless, before you decide to have a dental implant placed, you should know how long these restorations typically last. Dr. Samir Ayoub of San Francisco Aesthetic Dentistry shares the answer here. 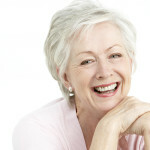 Dental implants are designed to last many years — possibly the rest of your life. They cannot decay or develop other problems that natural teeth can. Implants have two parts: the titanium post that is placed in the jawbone, and the artificial tooth (e.g., a crown) that is attached to the post. The crown may develop wear and tear over time — similar to a natural tooth — and need to be replaced every 10 to 15 years. However, the implant post that is attached to the jawbone can last for a lifetime with the proper care. Once the implant root is placed in the jawbone, it provides a sturdy and reliable foundation for an artificial tooth. The success and longevity of an implant depends largely on the health and strength of the jawbone in which it is placed. Overall Health. Preexisting medical conditions or diseases, such as autoimmune disorders that affect healing, may lead to implant failure. The best implant candidates are in good health with no serious health conditions. Smoking. Smokers are more likely to experience implant failure than non-smokers are. Dentists typically do not recommend implants to individuals that smoke. Oral Hygiene. Though implants cannot decay like natural tooth enamel, they require regular care and maintenance. The space around the implant needs to be brushed and flossed daily. Regular cleanings and exams with a professional dental team are also important to long-term implant success. Location in the Mouth. In general, implants placed in the back of the mouth are subject to more strain from chewing. Implants placed near the front of the mouth tend to last longer. If you would like more information about dental implants or their placement, please contact our practice and request a consultation with Dr. Ayoub. Call (415) 781-2227or send us an email today.